The idea of an association or confederation that would encompass the lands of Central and Eastern Europe from the Baltic republics in Europe’s north-east stretching to the former Yugoslav states in the Western Balkans, appeared first in the 19th century. Such an alliance would have been directed against the threats of Tsarist Russia in the east as well as of initially Prussia and, later, the German Empire, in the west. During the early 20th century the idea gained momentum in inter-war Poland. Having achieved independence after the end of the First World War, the newly constituted Polish state sought ways to survive and strengthen itself within the ongoing European turmoil of rapidly collapsing empires, newly emerging borders and changing international alliances. Its post-war leader Józef Piłsudski re-introduced and re-formulated the 19th-century concept of a Slavic union as Międzymorze (the land between the seas). The term became subsequently known under its Latinised form Intermarium which refers to some sort of alliance of Central-East and South-East European states located between the Baltic, Black, Adriatic and/or Aegean seas. 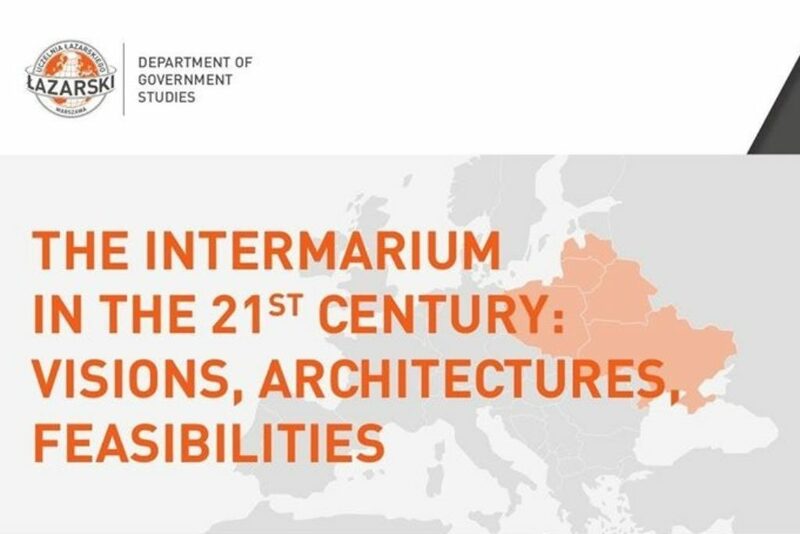 In view of the continuing threats and risks in Eastern Europe and the unclear security situation of the Eastern Partnership countries, the Intermariumconcept has, since 1991, constantly remained in the air throughout the region. Reactivation of the idea by Ukrainian commentators, politicians and diplomats is driven by national security concerns as the country struggles to survive in its ongoing hybrid conflict with Russia. In Kyiv, Intermarium is seen as complementary, rather than antagonistic to other integration and co-operation schemes and driven by plain desperation, if not fear, rather than intra-European political games – a major motivation of such projects as the Visegrad Four or Three Seas Initiative. Within the logic of the Intermarium, Kyiv has already developed special ties with Moldova, Georgia and Azerbaijan, within the Organisation for Democracy and Economic Development known under its acronym GUAM. In the aftermath of the Orange Revolution, an equally loose organisation of nine East European countries by the name of Community of Democratic Choice was founded in 2005. Later, Ukraine began military co-operation with Lithuania and Poland, establishing a common military brigade. Lithuania and Poland are also among the top three countries that Ukrainians, according to polls, favour most. These and similar signs are an expression of the sense of common interests, perceptions, threats and, partially, even identity among Moscow’s former colonies in East-Central Europe. 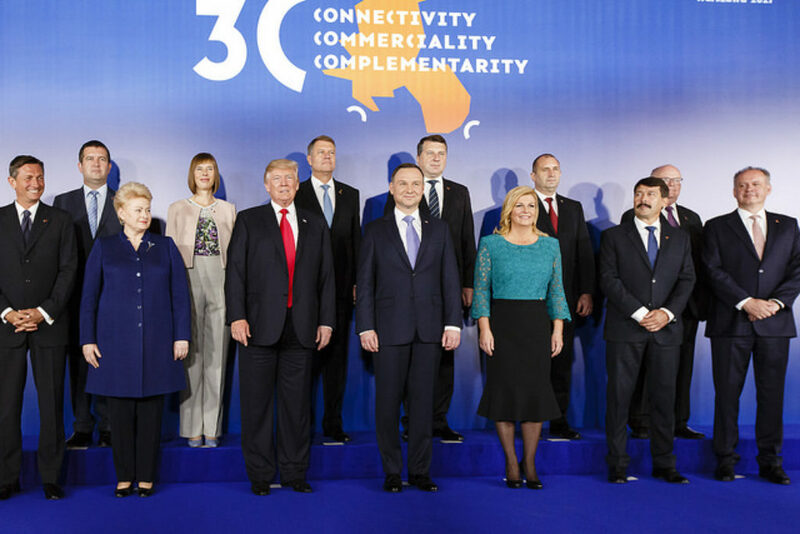 So far, however, none of these or other similar projects properly revive the original Intermarium intention, namely to join the forces of smaller Central-East European nations against a geopolitically and militarily more powerful enemy. A functional Intermarium after the First World War might have been able to prevent the Second World War as it would have raised the stakes of Nazi Germany’s actions in Czechoslovakia in 1938 and Poland in 1939, and of the Soviet Union’s various European adventures in 1939-1940. To be sure, an Intermarium at that time might have still been militarily inferior to the Third Reich and the USSR. Yet, it would have meant a different geopolitical landscape in East-Central Europe that would have, at least, complicated Hitler’s and Stalin’s calculations when they divided up Eastern Europe in the Molotov-Ribbentrop Pact of August 1939. Paralleling somewhat the course of events after 1918 in East-Central Europe, the Intermarium ideas since 1991 recently too has remained within the realm of discussion and speculation. The non-inclusion of the grey zone countries continues to leave perceived costs and risks for Russian intervention in Georgia, Moldova and Ukraine low. Even after the fateful events of 2014, coalition-building in Eastern Europe has not taken off. The three EU associated Eastern Partnership countries now receive some political, economic and also military support from NATO and the EU. Yet, they are still left on their own by the West and their Central-East European neighbours in their military confrontations with the Kremlin. The lessons from both the interwar and early post-Soviet periods are that this is not a good state of affairs for the international relations of Eastern Europe. 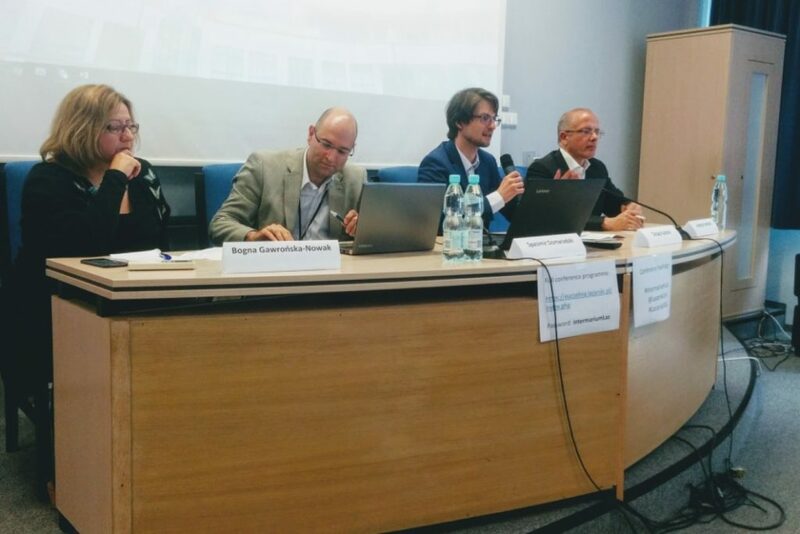 Andreas Umland is Senior Research Fellow at the Institute for Euro-Atlantic Cooperation in Kyiv, and editor of the book series “Soviet and Post-Soviet Politics and Society” published by ibidem Press at Stuttgart and distributed by Columbia University Press.